The best of both worlds (the beach, and feeling like a local), Santa Barbara’s Canary Hotel exults some of Southern California’s most indulgent accommodations. Old World charm, thoughtful experiences, and renowned personalized attentiveness mingle seamlessly to pamper you in style. 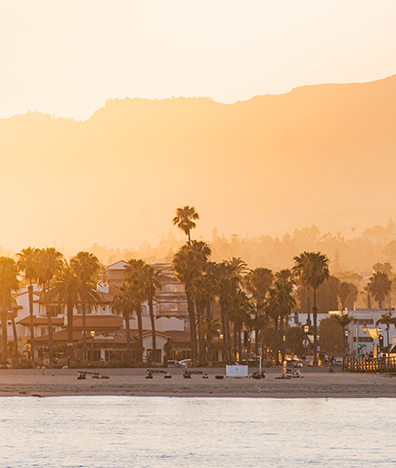 When you stay at the Canary Hotel for the 2017 NAPCP Retreat, you’ll find the historic city of Santa Barbara literally at your feet. From the invigorating Pacific air and gorgeous beaches, to the unique culture and cafe-lined cobblestone of State Street. In vogue international jet-setters choose the Canary for their Santa Barbara stay. At the Canary Hotel, Los Angelans take refuge from the sprawling city throngs. At the Canary Hotel, wine connoisseurs rest near the rooftop fireplace after a day among the vines. And brides realize visions of ultimate romance, whisking their guests away to the American Riviera, with Mediterranean allure. First-class everything? You’ll find it during the 2017 NAPCP Retreat at the Canary Hotel.